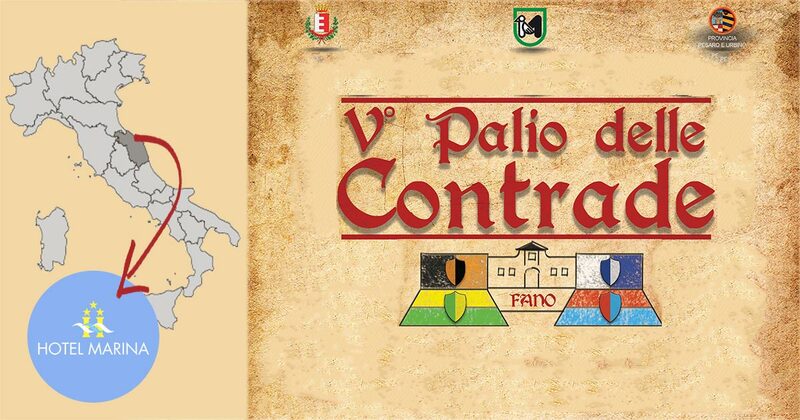 The “Palio delle contrade” of Fano is a true historical re-enactment with habits and lifestyles of 1400 AD. You will be surrounded by ordinary people, armed men, archers, knights in period clothing who will compete in many activities such as tug of war, shooting at the ring with horse racing, archery contest. The Palio delle Contrade recalls the pilgrimage undertaken by Carlo Malatesta in 1399 AD from Rimini to the sanctuary of the Madonna di Ponte Meta to ask for the grace to escape the pestilence that scourged the territory under its dominion. The event is suitable for everyone, families, groups, adults, children and children. The historical group “La Pandolfaccia” also offers the opportunity to try archery and wear period clothes, and different shows from the fire to shows with dancers. For the little ones there are spaces with games, magicians, storytellers or the chance to ride ponies. Want to miss this opportunity to spend days with family and fun? Our advice is to stay at the our Hotel and reach the center of the party on foot and without worries.